A view inside the church showing all fittings, carpet and chairs, ready for worship. The old church which had to be pulled down. 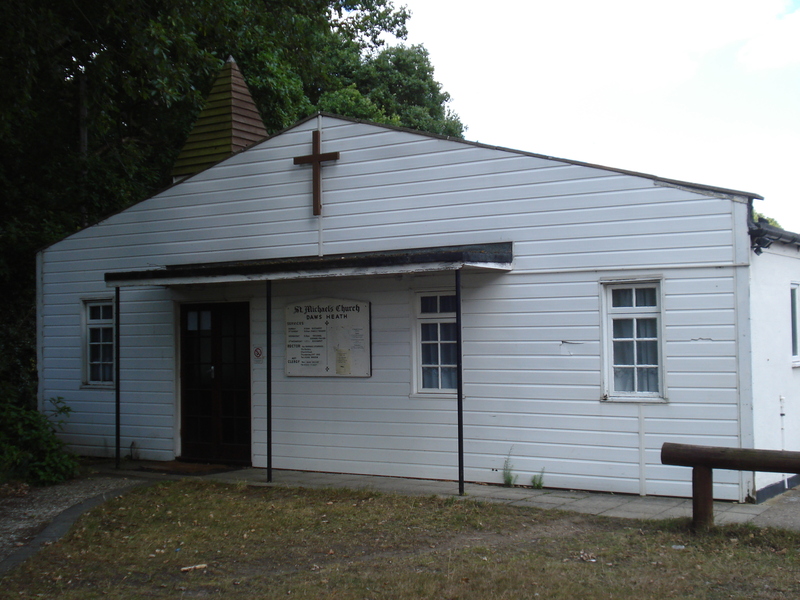 The new St. Michael and all Angels’ Church in St. Michael’s Road was Dedicated and Consecrated by the Bishop of Bradwell, The Rt. Revd. John Wraw on Saturday, December 1st. 2012. The church was packed to witness this rare occasion. A follow up Thanksgiving Service on Saturday December 8th. 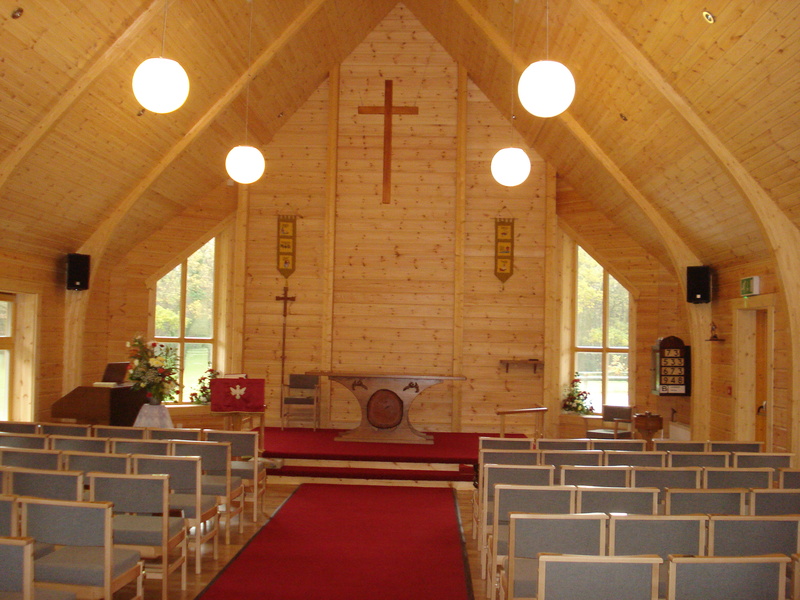 2012 saw many local folk taking the opportunity to see the new church. 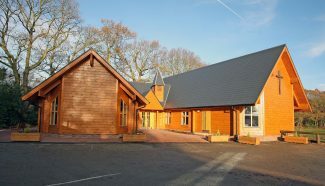 After three years of fundraising and built at a cost of £570,000 the new wooden church replaced the original wooden church which had been on the same plot since 1921. 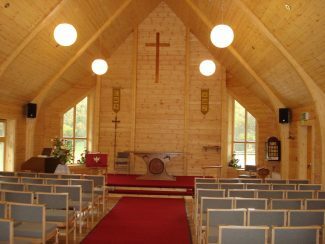 The new church is built with Finnish pine and is almost four times the size of the old church. The original Whitechapel bell made in 1921 hangs in the new bell tower, the outside cross is crafted from a rafter in the old church and the hymn board dates from Christmas 1921. The magic has been to design all the extra building space into the same pocket of land as was occupied by the old church. The new building includes a Community Room which can be hired for group activities and functions.